Empty Folder Cleaner is designed for quickly scanning specific folders, it will identify all empty, junk, protected and normal folders. You then have the option to easily delete any empty folder. This is an advanced tool and it is recommended that a backup is performed on the files of the folders selected for deletion in order to restore them if the need arises. 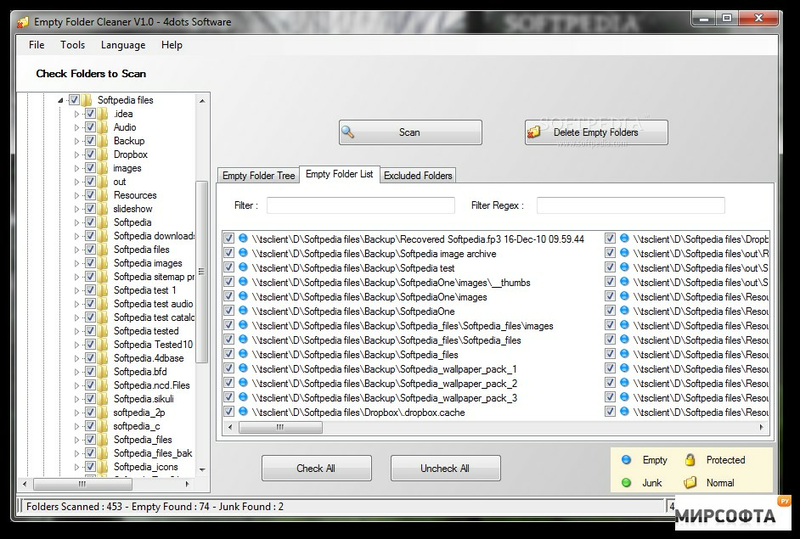 Empty Folder Cleaner allows you to easily choose specific filenames that will be considered as junk files. Additionally, you are permitted to specify which protected files and folders are to be ignored. Offers a desktop catalog for other products - opt-out is available. It also asks to utilize your "idle resources for the benefit of others" which can be declined. Deleting important system folders may cause irreversible damage - make certain that you select only harmless folders.